Foran raises the bar for Walmart U.S.
BENTONVILLE, Ark. 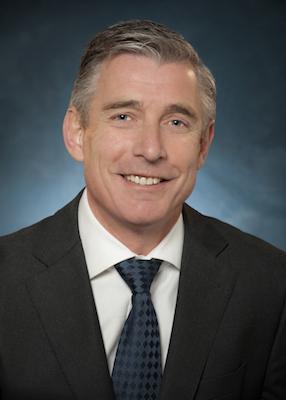 — After eight months on the job as president and chief executive officer of Walmart U.S., Greg Foran has gained a clear view of where the retailer needs to improve and what it needs to do. Foran shared his views on the state of the nation’s largest retailer during its Strategic Update for Investors and Analysts here recently. For starters, he reiterated that the Walmart U.S. management team is focused on price, assortment, customer experience and access. In all of those areas, he said, Walmart has opportunities to improve. Foran described the major challenges and opportunities facing Walmart’s flagship division and elucidated, with Judith McKenna, the new chief operating officer of Walmart U.S., the initiatives that are under way to address them. In some cases, such as the Walmart shopping experience, the problems were recognized by prior management regimes a decade ago, but previous efforts to resolve them apparently did not succeed or were eventually undercut by altered priorities such as lowering store labor costs. He noted that the stores are stocking too many PDQs, or manufacturer-supplied product displays, which can be easily moved from the back room to the sales floor without requiring store associates to spend time restocking a shelf or end-cap. Management has already reduced the number of PDQs being shipped to stores and gone further to give store managers the discretion to control merchandising in “an important share of the space” to allow the managers to be merchants and to take advantage of local product opportunities. Another important inventory initiative is reducing prices on products nearing their expiration date, which Foran estimates can deliver savings of more than $500 million ­annually. Management is also looking at store layout and design in both Supercenters and Neighborhood Markets, with a special focus on such factors as adjacencies, traffic flow, sight lines, lighting and even temperature. Some recently opened stores, in Foran’s view, are inferior to older stores in terms of customer convenience. “There are opportunities for us to significantly update and improve things like space allocations, adjacencies, ambience, navigation and flow in both our formats,” he said. In fact, management has already made significant progress on what Foran described as the reinvention of the Supercenter and Neighborhood Market. For example, McKenna pointed out that all Neighborhood Markets going forward will locate the bakery and deli by the entrance, making them the first departments that customers ­encounter. While operational issues may seem to be claiming top priority, pricing and merchandising are also part of the agenda. While Walmart claimed in recent years to have reasserted its everyday-low price approach, Foran acknowledged that in some markets, competitors beat Walmart on price, while in others the gap between Walmart and its rivals is too narrow. To tackle these challenges, Foran and his team have developed a number of major projects. For example, to deal with pricing, the company is developing new tools to assure that its pricing is competitive but, beyond that, product sourcing options are being explored. The theme of access, of course, relates to Walmart’s efforts to tie together its 4,500 U.S. stores with its e-commerce operation. The opportunity is huge, and management is investing substantial sums in upgrading the company’s ­capabilities. Walmart had piloted a grocery home shopping test in Denver, which it has extended to Phoenix and Huntsville, Ala. In Denver the company tested both home delivery and store pickup, but in some stores in the new markets, pickup only is under test, noted Mc­Kenna, who added that customer response has been strongly positive. All in all, the program described by Foran and McKenna involves massive change for Walmart U.S. While some analysts voiced anxiety about the cost impact involved, Foran replied that some costs will be offset by savings achieved through greater efficiency and improved performance. Moreover, if the program of change achieves its goals, sales will undoubtedly grow faster than recent years.